If ReportComplete is copied to the root of a network drive, eg: Z: then it will operate in Network mode. 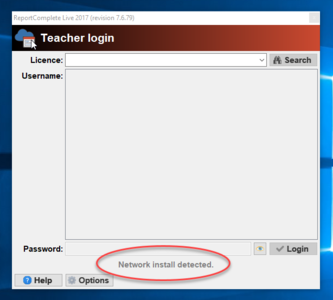 If you have done this correctly then ReportComplete will report that it has detected it is running on a Network drive. In network mode all files are saved in a subfolder of the network drive called 'Documents\ReportComplete Live', this folder will be created if it doesn't exist. It's important that the person using the program has R/W access to that folder. This page was last modified on 15 May 2017, at 22:51.